Vertical rain glass conveys traditional elegance in this Kichler Rochdale 49512OZ Outdoor Wall Sconce, and it's also finished in rustic olde bronze. This wall sconce requires one 100-watt incandescent base bulb (not included). Kichler Quality Since 1938, Cleveland-based Kichler Lighting has been known for their innovative designs and excellent craftsmanship. Kichler is the world's leading decorative lighting fixture company and the winner of four ARTS Lighting Manufacturer of the Year awards. Kichler designers travel the world to discover the latest trends in exterior and interior style, colors, and designs. 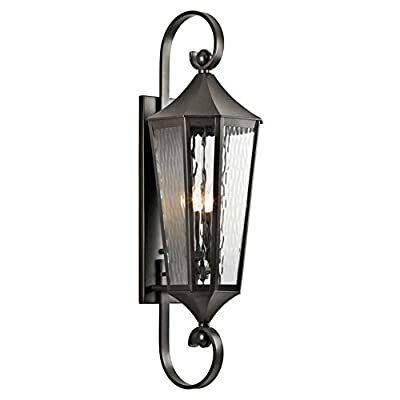 They then translate the best of those trends into fixtures that will bring beauty, pleasure, and light into your home. 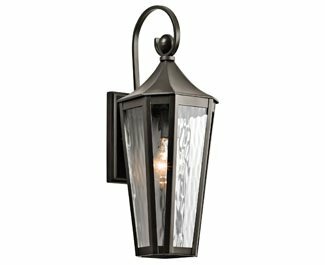 Kichler fixtures stand the test of time and are functional works of art that you're sure to treasure. 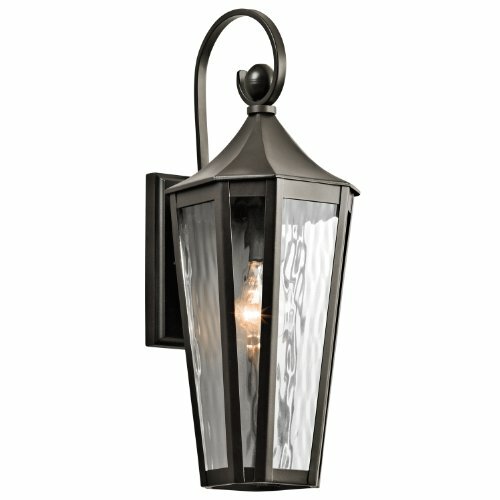 Dimensions: 7W x 8.5D x 19.25H in.. Lantern design with an olde-bronze finish. Features vertical rain glass. Extends 8.5 inches. Requires one 100-watt incandescent base bulb (not included).